Though Westworld is a hit on a creative level and just got picked up by HBO for a second season, it’s still not quite the cultural phenomenon that Game Of Thrones has become. So, considering that each passing day brings us closer and closer to that show’s eighth and final season, HBO is understandably desperate for something that can fill the upcoming dragon-shaped hole in its schedule. Apparently, that something just might be more Game Of Thrones. Back in September, George R.R. 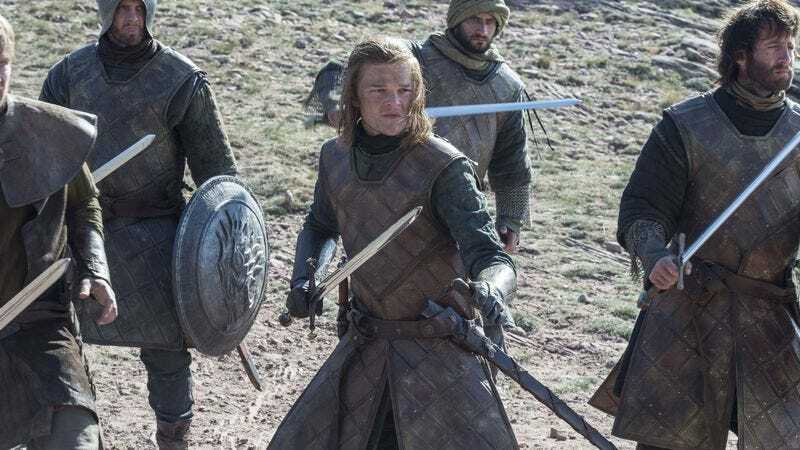 Martin revealed that he has written “thousands of pages” of history for everything that leads up to Game Of Thrones, meaning there’s tons of material for a prequel series if HBO wanted to go in that direction. Unsurprisingly, that’s exactly what HBO wants to do, with Entertainment Weekly reporting that programming president Casey Bloys says the network is in “preliminary ongoing talks” with Martin about the possibility of developing some of his ideas into a new series. Bloys noted that there are specific “areas” of Martin’s history that the network is “exploring,” but that’s all we know about what HBO is planning for now. Game Of Thrones’ penultimate season—which will only be seven episodes long—will premiere next summer. Also, maybe now the Westworld people will reconsider that crossover idea.